KPS3 is thrilled to announce that Brittany Rubenau has joined our growing team as account director. 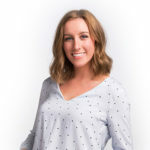 Brittany’s responsibilities include maintaining positive KPS3 client relationships by collaborating with partners to develop insight-oriented marketing strategies. Rubenau will work closely with clients to support, manage and create strategic marketing and communications plans that drive results and value. Welcome to KPS3, Brittany, we’re so happy to have you!